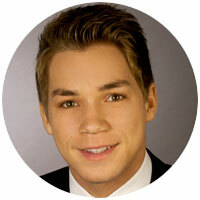 Marco Alexander Bühren, Master in Management 2015 Alumni, currently works for Roland Berger. I was looking for the big strategy consulting firms and saw the job offer in the Career Portal of Roland Berger. Prior to that, I had spoken with a friend of mine formerly working for Roland Berger, who told me that RB is hiring.. Besides the classroom learnings, IE provided me with a multicultural environment that I could leverage upon in the interviews. Further, I had the opportunity to practice case studies with classmates also interested in consulting. CMC helped me to schedule a practice case interview via interviewbay and adviced me which offer to choose. After I sent my application, I got an invite within two weeks. I was invited to the Munich office, where I had one case interview – how to restructure a company. An interview analysing the personal fit with Roland Berger and consulting in general and finally an analytical test. After lunch, more than half of the applicants with whom I was in the process in the morning had to leave. The afternoon consisted of a group case, where we analyzed opportunities for a Bavarian airline. The next day, I got a feedback call and was informed that I made it into a final partner round. In this partner round, I had three partner interviews with partners from the Competence Center I had applied for. After the third interview, I already received an offer to join RB as a Consultant. As Roland Berger is famous for its restructuring practice, a sound knowledge of accouting/finance is definitely helpful. For the teamcase, I would advice everyone to bring in one’s strengths, not being too shy but also not being too dominant. Last but not least, don’t forget to practice cases with different case buddies and also prepare for the common questions about your CV/ background.